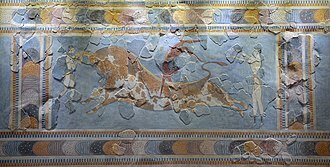 Museum of the City of Athens Vouros - Eutaxias is a museum in Athens, Greece. It houses a collection of a variety of Athens-related items collected by art collector Lambros Eutaxias (1905-1996). It includes antiquities, Byzantine art, sculptures, paintings, drawings, photographs and metal, glass and textile works. Also it includes furniture arranged in typical living rooms of the Athenian aristocracy of the 19th century. This building was the first royal palace of Greece under the reign of King Otto of Greece. ^ John Van der Kiste, Kings of the Hellenes: The Greek Kings 1863–1974 (Sutton Publishing, 1994). This article related to a museum in Greece is a stub. You can help Wikipedia by expanding it. This article about a building or structure in Athens is a stub. You can help Wikipedia by expanding it. The Acropolis Museum is an archaeological museum focused on the findings of the archaeological site of the Acropolis of Athens. The museum was built to house every artifact found on the rock and on the slopes, from the Greek Bronze Age to Roman. It lies over the ruins of a part of Roman, the museum was founded in 2003, while the Organization of the Museum was established in 2008. 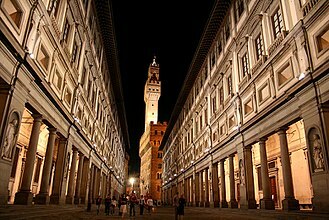 It opened to the public on 20 June 2009, nearly 4,000 objects are exhibited over an area of 14,000 square metres. The Organization for the Construction of the new museum is chaired by Aristotle University of Thessaloniki Professor Emeritus of Archaeology, the first museum was on the Acropolis, it was completed in 1874 and underwent a moderate expansion in the 1950s. 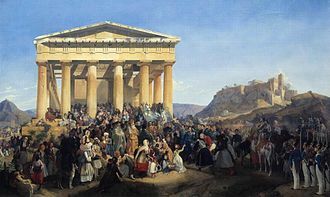 However, successive excavations on the Acropolis uncovered many new artifacts which significantly exceeded its original capacity, creation of a gallery for the display of the Parthenon Marbles has been key to all recent proposals for the design of a new museum. The first architectural competition to design a new museum was held in 1976 and was limited to participants from Greece, both the 1976 competition and one that followed it in 1979 failed to produce any results mainly because the plots of land selected for the proposed constructions were deemed unsuitable. In 1989, a competition for the design of the new Acropolis Museum was announced that would be international. A choice of three sites was provided. This competition was won by the Italian architects, Manfredi Nicoletti, in retrospect, the location of the new museum was rather straightforward, the large lot of the unused Camp Makrygianni gendarmerie barracks, opposite the Theater of Dionysus. The barracks were built on land and a limited number of expropriations of surrounding private houses were needed to free up the necessary space. The main building of the old barracks, the neoclassical Weiler Building, has been renovated, the fourth competition had made no provision for the preservation of the ancient site. Georgios Averof is a modified Pisa-class armored cruiser built in Italy for the Royal Hellenic Navy in the first decade of the 20th century. The ship served as the Greek flagship during most of the first half of the century, although popularly known as a battleship in Greek, she is in fact an armored cruiser, the only ship of this type still in existence. At the beginning of the 20th century, Greece decided to reinforce its fleet, the navy procured eight destroyers between 1905-1907, but the most important addition was Georgios Averof. The ship, a Pisa-class cruiser like her Italian sisters Amalfi, the ship was fitted with a combination of Italian engines, French boilers, British artillery and German generators. The ship was launched on 12 March 1910 and her first captain was Captain Ioannis Damianos, who took command of her on 16 May 1911. Averof sailed for Britain, in order to participate in the festivities for the coronation of King George V and it was clear that Captain Damianos was inadequate, so he was replaced by the highly esteemed Captain Pavlos Kountouriotis, who quickly reimposed discipline and set sail for Greece. During the journey, Kountouriotis took care to train the crew, Averof finally sailed into Faliro Bay, near Athens, on 1 September 1911. Averof was at the time the most modern and powerful ship in the navies of either the Balkan League or the Ottoman Empire, with the outbreak of the First Balkan War in October 1912, Kountouriotis was named rear admiral and commander-in-chief of the Hellenic Royal Navy. Averof, under Captain Sofoklis Dousmanis, served as the flagship of the fleet, during the naval battles at Elli and Lemnos against the Ottoman Navy, she almost single-handedly secured victory and the undisputed control of the Aegean Sea for Greece. In both battles, due to her speed and armament, she left the battle line. Averof succeeded in crossing the T of the Turkish fleet and concentrated her fire against the Ottoman flagship, during the Battle of Lemnos, when the older battleships failed to follow up with Averof, Kountouriotis did not hesitate to pursue independent action. In each battle the ship suffered slight damage, while inflicting severe damage to several Turkish ships. As leader of the Liberal Party, he was elected several times as Prime Minister of Greece, serving from 1910 to 1920 and from 1928 to 1933. Venizelos had such influence on the internal and external affairs of Greece that he is credited with being the maker of modern Greece. His first entry into the scene was with his significant role in the autonomy of the Cretan State. Soon, he was invited to Greece to resolve the political deadlock, not only did he initiate constitutional and economic reforms that set the basis for the modernization of Greek society, but reorganized both army and navy in preparation of future conflicts. 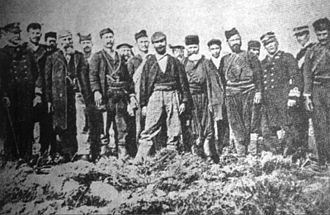 Before the Balkan Wars of 1912–1913, Venizelos catalytic role helped gain Greece entrance to the Balkan League, through his diplomatic acumen, Greece doubled its area and population with the liberation of Macedonia and most of the Aegean islands. In World War I, he brought Greece on the side of the Allies, his pro-Allied foreign policy brought him into direct conflict with the monarchy, causing the National Schism. The Schism polarized the population between the royalists and Venizelists and the struggle for power between the two groups affected the political and social life of Greece for decades. Following the Allied victory, Venizelos secured new territorial gains, especially in Anatolia, despite his achievements, he was defeated in the 1920 General Election, which contributed to the eventual Greek defeat in the Greco-Turkish War. In his subsequent periods in office Venizelos succeeded in restoring relations with Greeces neighbors. In 1935 he resurfaced from retirement to support a military coup and its failure severely weakened the Second Hellenic Republic, the republic that he had created. In the 18th century, the ancestors of Venizelos, named Cravvatas, lived in Mystras, in southern Peloponnese. During the Ottoman raids in the peninsula in 1770, a member of the Cravvatas family, Venizelos Cravvatas and his sons discarded their patronymic and called themselves Venizelos. 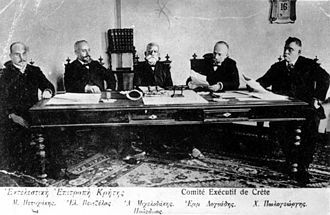 The family was of Laconic and Cretan origin, Eleftherios was born in Mournies, near Chania in then-Ottoman Crete to Kyriakos Venizelos, a Cretan merchant and revolutionary, and Styliani Ploumidaki.